SUNDBYBERG, Sweden – The 2008 bike sales started nicely in Sweden with a nice spring and warm summer and with all the talk about health, commuting, rising gas prices and global warming was everyday in the newspapers, suddenly the bike was high fashion in Sweden. Did the market respond to all this? 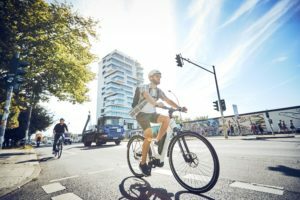 "If you are biking in the outskirts of Stockholm you see record numbers of bikers on road bikes and in the city the singlespeed bike is a hot item," says Magnus Elgquist, avid biker and photographer at velo.se – Sweden’s biggest website for cycling. That observation tallies with reports from importers that the road bike is back along with the singlespeed and cycle cross. Last year Sweden saw the first ever cyclocross season taking place – but Swedes are a prudent people so the hybrid bike with fenders is still a big seller. And with global warming, a financial crisis that spread all over the world should mean a bright future for the bike, but if you ask importers and bike shops about the 2008 season you get different answers about how the year has been, although mainly they report increased sales: "There are way too many importers, no one makes a healthy profit," says Lenny Persson, importer of Univega – which he will stop importing. "We have had a 17% increase this season. 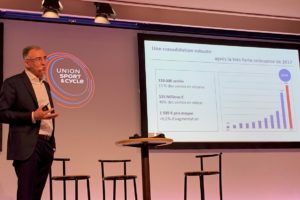 Mostly due to the big distribution of our catalogue," says Ted Kottulinsky, Cykloteket, one of Sweden’s biggest shop with a turnover of close to 40 million SEK (€ 4.0 mn) and 3,500 sold bikes per year. 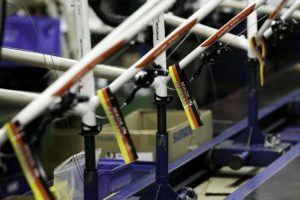 Component importer Shimano also claims an increase of 5% compared to last year: "The more and more present debate about health and global warming is good for the bike business, and I think that electric bikes will take some market share from the car industry," says Stefan Ekwall of Shimano Nordic. "We have had a lot of car commuters that now have parked their cars and bought a bike due to high gas prices," says Henrik van Ingelandt, på Cyklig in Solna, just outside the city of Stockholm. 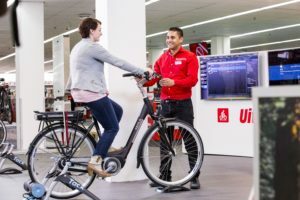 This is a trend also seen by Ted Kottulinsky, who claims that other players that sell goods and services worth between 5,000-50,000 SEK (€ 500 – 5,000) are their fiercest competitors: "We have sold a lot of hybrids, bikes that are both good for commuting and working out on." But street and dirt is losing ground. In total around 530,000 bikes are sold in Sweden in 2008 (an estimated 485,000 in 2007) and lately it seems like people are willing to pay more for a high quality bike than before. "We get a lot of commuters that know exactly what they want when they enter the shop and they are willing to pay for a quality bike," says Peter Karlsson of Cykel & Pedal, in Malmö. Electric bikes? "Well, I can’t say that they are fully accepted already but they will be a perfect means of transportation in the city, as well as for commuting," he says. Another trend, especially in the bigger cities, is the singlespeed bikes and the high demand has forced a lot of makers to incorporate singlespeed into their programs. Next year for example Trek launches a belt drive singlespeed. The trend for singlespeed has also vacuumed every old bike shop in Stockholm for old steel frames to rebuild. The loser in all this is the MTB. Almost everyone we talked to reported a drop for this bike category, that ten years ago sparked a bike boom in Sweden. 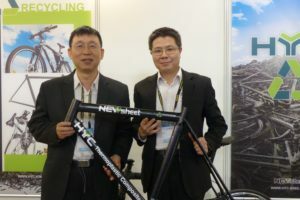 All, that is, except for Jaguarverken: "Yes, we have sold more of all-mountain and downhill bikes – but also more road bikes," says Kent Sandin of Jaguarverken, who sells around 21,000 units per year. Another factor to keep in mind is the financial crisis and the exchange rate of the Swedish Krona. During midsummer a dollar cost 5.8-6.0 SEK and now it’s just below 8 SEK. A 30-35 % increase and a factor that can and will affect prices of imported bikes and parts. "It will have an impact on our prices for the last 1/3 of the season for our 2009 year models as we have secured the worth of the Swedish currency (SEK) for our first shipments," says Kent Sandin, who also believes in the electric bike. One thing that the whole bike sector in Sweden has in common is that they all agree that the Swedish bike industry has failed to promote the environmental benefits of cycling. Now it’s the car industry that in big billboard ads and full pages in the morning papers claims "Buy a new car and become more environmentally friendly”. A big lie, buying and driving a car can never be good for the environment. But there is also an explanation for the lack of attack from the bike business: "We don’t have the power in the bike business to reach out like the car industry. A lot of the companies don’t show an enough high profit and this limits the means of marketing. On top of this I don’t think we are not united enough to fight back," says Ted Kottulinsky of Cykloteket. Are there too many importers in Sweden? "The numbers of importers take cares of itself but the way I see it, we have way too many players on the market that can not use a calculator, which creates low profit – you need to have healthy margins. A lot of them also lack competence and knowledge," says Ted Kottulinsky. Value: The market is estimated to be worth around 1.9-2.0 billion SEK (€ 200 mn) – a small increase.